It’s been a fantastic year here at Rosewood Cottage Sewing Studio and we would like to wish you a Merry Christmas and a happy, healthy and prosperous New Year for 2014! This year we’ve launched some brand new classes to go along with our regular sewing classes. We have had quilting, millinery and our gorgeous kids club! I would just like to forward a great big thank you to all our wonderful students as well as all of you who can’t come to Rosewood, your support, friendship emails and special messages have been fabulous! Here is a special Christmas video for you with a special announcement at the end! For those of you who are interested in any of our classes please let us know as we’ll be finalising bookings in January. Places fill extremely fast so we don’t want you to miss out! 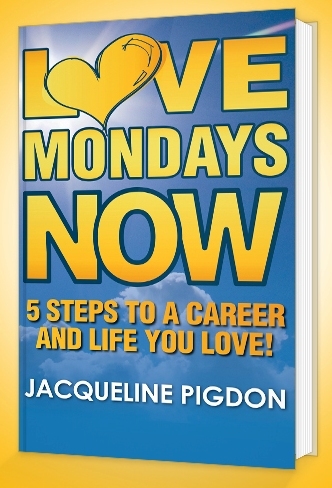 If you would like to learn more about Jacqueline’s new book: ‘Love Mondays Now – 5 Steps to a career and life you love’ CLICK HERE or you can buy a copy right now on Amazon! Thank you so much for your support throughout the year, it’s been fantastic and we look forward to another wonderful year in 2014 filled with happiness, fun and loads of SEWING! Before you go, we would love to see the beautiful Christmas sewing presents have you made this year. Please come on over to our Facebook Page CLICK HERE and post your gorgeous creations and check out what other sewers have made too! We would love to hear from you! LOVE MONDAYS NOW – 5 Steps to a career and life you love!